Rookie Mistakes that Even Master Gardeners Make! In sites with 4 to 5 hours of sun a day, you can grow . . . In sites with 3 to 4 hours of sun a day, you can grow . . .
And in sites with just 3 hours of sun a day, you can grow . . .
Petunias are to flowering annuals what tomatoes are to vegetables: something that every gardener feels compelled to grow at some point, and many gardeners simply adore. Thanks to the massive popularity of the Wave series of spreading Petunias and to the rise of Calibrachoas (mini Petunias), Petunias are now more popular than ever, which means there are more colors and forms to choose from! Petunias are members of the Nightshade family, related to tomatoes, potatoes, eggplants, peppers, angel’s trumpets, and flowering tobacco. The first petunias were brought to Europe about 200 years ago from their native South America. We would scarcely recognize them today: these plants were leggy and untidy, with small blooms of either white or purple. But plant breeders lost no time in beginning to cross and select them for larger flowers, new shades, and a more pleasing habit, and before long the “garden petunia” was born. In Victorian times, petunias graced many a flowerpot and windowbox, often paired with geraniums. In the garden, they marched up and down the formal rows of beds and borders, their strong colors lending themselves perfectly to the intricate designs featured in so many British and European gardens. They were prominently displayed at Versailles in a mass planting so richly colored it was compared to stained glass! Waves of Every Sort! The original Petunia Wave has outdone itself, and is still wildly popular nearly 20 years after its introduction. (Not many plants can claim that!) Spreading petunias were a new category when the Waves came along; now they are everywhere. In addition to the original Waves, you can choose from early-blooming Shock Waves, petal-packed Double Waves, pleasingly mounded Easy Waves, and versatile Tidal Waves! More Spreaders and Trailers! At the same time that Waves were developed from seed, another spreading petunia was developed vegetatively (from plant tissue). 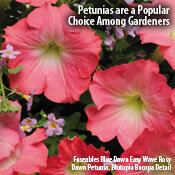 It is far and away the most popular petunia in Europe, with an even greater spread and more blooms than the Waves. This is Surfinia, available only as plants but THE variety to grow if you want a wall – many, many feet long! – of blooms. And there are no shortage of rival spreaders and trailers, each with its own merits. 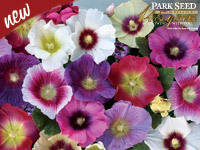 Take a look at the only tricolored petunia in the world, the most heat tolerant variety, the watercolor blend of pastel shades, and the “every bloom is different” masterpiece of colors. Super-tough Summer Performers! Not all petunias are intended for large spaces and maximum impact. The Multifloras are a small-flowered family (the average bloom is 2 inches wide) known for its ability to bounce back after rough weather, particularly rain and wind. These petunias fit nicely into combo plantings, bloom tirelessly, and fill in gaps in the annual bed. Take a look at our Fondly Yours Combination, which contains the dwarf multiflora Mambo Pink, to see how this plant plays well with others. Jolts of Brilliant Color! The grandiflora petunias are known for their large flower size, and can vary in form from tightly mounded plants to trailing beauties. They are the showpieces of the petunia family, breathtaking in color and number. One-of-a-Kind Showstoppers! Today’s varieties don’t always fit neatly into the traditional grandiflora/hedgiflora/multiflora categories once used to classify every petunia on the market. Many are semi-upright, so that they do well in the garden as well as containers, and nearly all are far more vigorous and longer-blooming than older varieties. We especially like the bold new color blends, such as yellow-and-black striped Phantom. Petunias may look dainty, but they’re easy to grow from seed or plants. And they have a secret: they really aren’t annuals at all, but are tender perennials (what the British call “half-hardy annuals”). So if you live in a warm climate and leave a hanging basket outdoors over winter, you may just be surprised by returning petunia blooms next summer! It’s always nice to see a friend coming home for a visit! Whether you’ve been gardening for 20 days or 20 years, every spring brings with it some avoidable mistakes. We’ve all made them and we are all going to make them again, but here’s a handy checklist to jog your memory as you plan, dream, and grow your 2013 garden. Are there actually gardeners who enjoy this?! If so, we haven’t met many. It’s the thankless grunt work that doesn’t show unless it goes wrong, but it must be done. 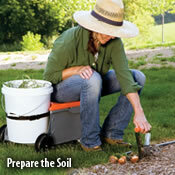 If you are growing any plants that need loose, loamy, well-aerated soil – the kind most plants crave! – you are going to have to work the hard, packed, poorly fertile, unsatisfactory soil that most of us have when we begin to garden. Oh, there are some plants that can thrive despite hardship, but most appreciate some TLC. How to prepare the soil? 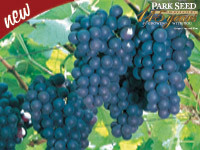 Turn it over with a shovel or tiller, pick out the big rocks, work in some compost, test its pH, rake it smooth, and then cover it before you plant out in spring. Boring but worth it, we promise! And the first year is the worst. If you keep adding compost with each season and mulching well, within just a few years you will have soil that is the envy of all your friends! The mistake nearly every new gardener makes is to look carefully at the garden in the dead of winter, when planning that first spring garden. Areas that receive full sun when their trees are leafless turn into shade pockets in spring and summer, and areas of partial sun in the short winter days can become baking ovens in the heat of summer. If you are new to gardening or new to a particular garden, adopt the mindset that this first year will be an experiment. Yes, you are going to guess wrong about a few things, and change your mind about others. 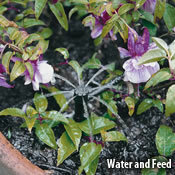 Instead of viewing this as a problem, think of it as one of the most creative challenges of gardening. 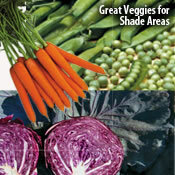 Even in an established garden, growing plants change the sun and shade mix. Don’t be afraid to dig up and move plants as soon as you realize they’re in the wrong place. They won’t thrive without the light or shade they need, so you have nothing to lose. 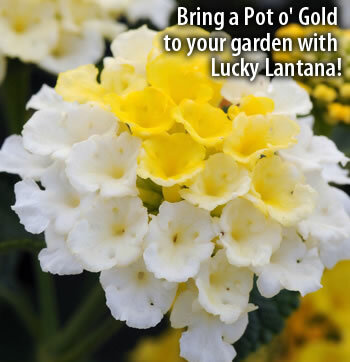 And if you are truly uncertain, consider potting up many of your plants for this first season. You can move them freely that way, and make sure they grow their best. How could you possibly forget the name of that delightful new petunia you craved? Or that exciting container tomato variety, yummy basil, and burpless cucumber? Wait – which of these rows of tiny green seedlings is the petunia again, and what was it called?! It’s so easy to sow seeds and then, 2 months later, have no idea what you’re looking at. 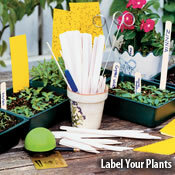 Take a moment to grab a popsicle stick, the seed packet itself, or any other labeling device and ID not only your seeds but also your newly-planted seedlings in the garden. Twenty-five seeds per packet?! What on earth are you going to do with 25 Geraniums for your 3 terracotta pots? Well . . . chances are you aren’t going to get perfect 100% germination from any packet of seeds. Mother Nature sees to that. Rough weather, a careless footstep, hungry critters, and good old natural selection take their toll on your young plants. And even if you’re direct-sowing seeds into the garden, remember the old farmer’s rhyme about planting extra corn so that the mouse and the crow can have their share! Gardening is imperfect, whether you start from seed or buy plants. (That’s one of its great charms.) Grow or get a few more than you need, and if everything goes well and you actually have a few extra plants when all is said and done, share them with your neighbors! Once your plants are in, nothing looks as good as that bare brown soil dotted with little green leafies. You may be tempted to leave it alone, but try to resist. Mulch is an invaluable part of gardening success. Not only does it help the soil retain moisture and prevent runoff of nutrients, it smothers weeds and keeps the surface area cooler. And if you use mulch made of natural ingredients (wood chips, pine needles, etc. ), it sinks into the soil over time, improving it for you. But if you don’t have a natural source on hand, put down plastic or anything else that will cover the bare soil. The benefits are just too great to pass up. Mother Nature gives you plenty of leeway in this department, but you should pay attention to your plant’s requirements for food and water. Does it like to dry out a bit between waterings, or does it prefer consistently moist soil? Read the label on any fertilizer you are using, and do not overapply, no matter how tempting it may be. Some plant food can burn roots if overused, and may produce too-tall, too-spindly growth. To test the moisture level of your soil, sink your index finger in, all the way to the second knuckle. (If you can’t get your finger in that far, return to the section on Soil Preparation!) If your finger is dry, the plant probably needs water. Just as we never think we’ll forget what we’re sowing into the Bio Dome in February, we manage to forget our garden triumphs no matter how many times we gaze at them fondly! Take photos of your garden along the way – don’t wait for that magic moment when everything is in bloom or in fruit! You’ll love looking back and seeing what you did right. ©2012, J&P Park Acquisitions, Inc. All Rights Reserved. 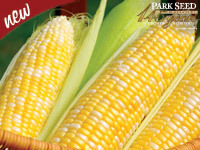 Park Seed Company respects your privacy. For more information, view our policy.